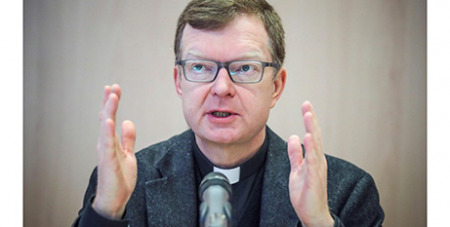 The bishops who participated in the Vatican summit on the protection of minors in the Church last month have “taken some initiatives”, says safeguarding expert Fr Hans Zollner SJ. Source: Vatican News. The president of the Centre for Child Protection told Vatican News that some bishops have revised their guidelines to find and implement ways of “cooperating with civil authorities”. Fr Zollner explained that the presidents of Catholic bishops’ conferences have sought the help of the Centre for Child Protection in the formation of Church personnel on the ground, after many of them were reduced to tears in hearing testimonies of survivors of child sexual abuse. In the three weeks since the end of the Meeting, Fr Zollner said some bishops have not simply “communicated what happened during those three and a half days” of the meeting, but are beginning to act. This, he said, was “the most important outcome that I could have hoped for”, because it proved that the bishops “received a message”. The message, he said, was: “Do everything you can to do justice to the victims. Listen to victims”, and do whatever you can to ensure that safeguarding is implemented “in your countries, in your dioceses and in your congregations”. Fr Zollner emphasised the importance of both the voices of the victims and the media. Thanks to them, “the topic of child sexual abuse within the Catholic Church has come to the surface and is now present all over the world”. “Nobody can avoid this anymore”, he said. Fr Zollner said the Church over time will develop common standards in how guidelines are written, how they are implemented, and how safeguarding education is taken forward.